The Gold American Eagle is based on the original design by Augustus Saint-Gaudens for the 1907-1933 $20.00 US Gold Double Eagle. 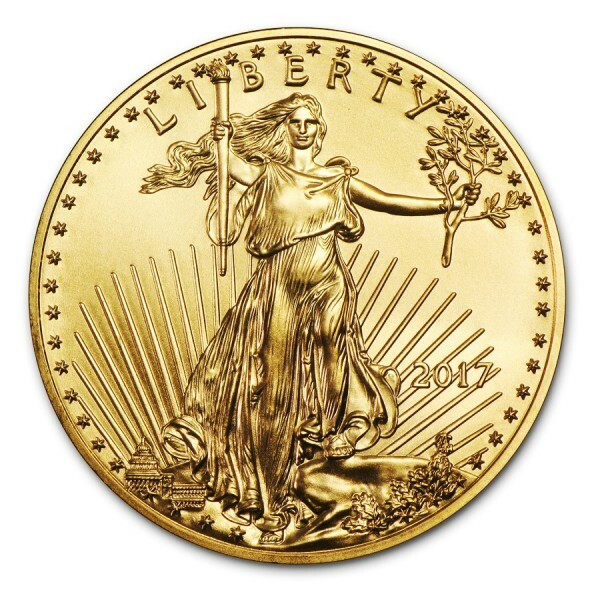 The reverse features a nest of American eagles, signifying the strength and security of America. 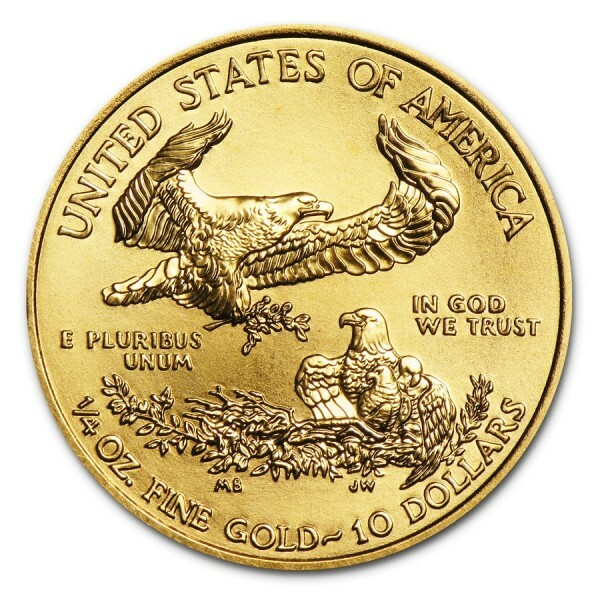 With an iconic design and 1/4 oz of U.S. Gold, the Gold Eagle combines the best aspects of collectibility and bullion investment appeal.